For many angiosperms, seed dispersal by frugivorous animals is a key process for seed movement to new environments, species survival, and regeneration. Primates are considered one of the main seed dispersal agents in tropical forest ecosystems because they constitute a large proportion of the frugivore biomass in the tropics. Their contribution to seed dispersal, and ultimately to plant survival and forest structure, has been studied since the 1980s. 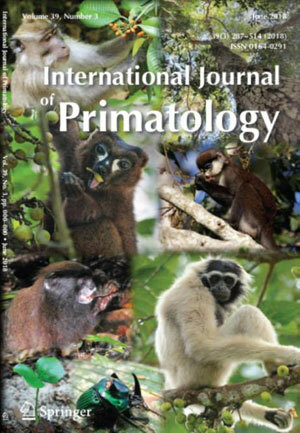 In 1998, the journal American Journal of Primatology published a Special Issue on primate seed dispersal, introducing progress in this research area at that time. Twenty years have passed since that milestone, and technological innovations, new theories, and a shift from species-based to community-based approaches in seed dispersal study have influenced primatologists and the study of primate seed dispersal. Now is the time to reflect on the progress of studies on primate seed dispersal over the past two decades, and identify patterns and directions for the next decade. This Special Issue stems from a general interest among researchers who presented their work on primate seed dispersal at the symposium titled "Advances and Frontiers in Primate Seed Dispersal", organized by Yamato Tsuji and Hiroki Sato, at the joint meeting of the International Primatological Society and the American Society of Primatologists in Chicago, Illinois, USA in August 2016. This issue presents research papers and reviews that illustrate different aspects of seed dispersal by primates, from pre- to post-dispersal phases. It brings together a collection of articles that extend our knowledge of primate seed dispersal globally (from Africa, Asia, Madagascar, and Neotropics), review what is known, and identify commonalities across geographic locations, intercontinental and taxonomic differences, and gaps in our understanding of primate seed dispersal. Primate Fruit Color: Useful Concept or Alluring Myth?